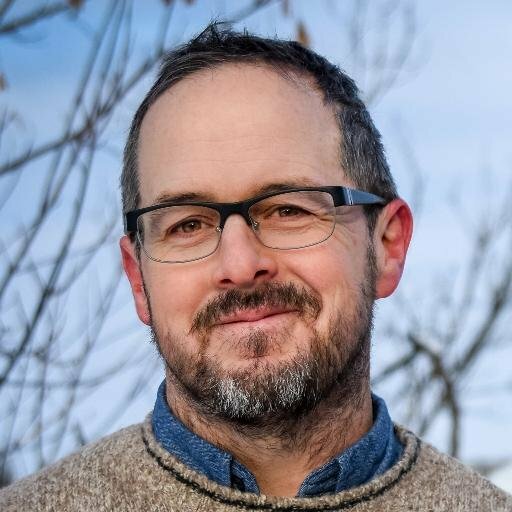 Join Tod Marshall, Washington State Poet Laureate, teacher, and performer for a poetry reading and workshop this September. Methow Arts brings Marshall to the Merc Playhouse on Wednesday, Sept 14 for a poetry workshop and on Friday, September 16 for a poetry reading. Tod Marshall is a Spokane-based poet, performer and teacher. He directs the writing concentration and coordinates the visiting writers series at Gonzaga University where he is the Robert K. and Ann J. Powers Endowed Professor in the Humanities. He enjoys backpacking and fishing and spends about a month of every year in a tent. When You Fry Catfish, Do You Imagine a Sky Full of Stars? loosened his grip on slick, slack-bodied, forever dead fish. Workshop maximum 25 participants. At the Merc Playhouse. Email us at Methow Arts, info@methowartsalliance.org to register or call 509.997.4004. WORKSHOP DESCRIPTION If You Ain’t No Place You Can’t Go Nowhere My title is from Richard Hugo’s The Triggering Town. In his book, Hugo reminds poets of the importance of identifying the “where” of a poem and how rooting creativity to place can allow the imagination to grow in unexpected ways. In this workshop, we will explore ways to connect our imagination to the real and imagined landscapes of Washington. There are many ways, of course, that we can think about “place.” Perhaps specific flora and fauna conjure up place for us (salmon and Arrowleaf Balsamroot, delicious huckleberries). Perhaps titles of towns or geological phenomena do the same (Anacortes, Mt. Rainier, and Twisp; The Columbia, The Palouse, and sharp columns of basalt, to name only a few). Perhaps people—individuals or groups—make a “where” vivid in our minds (The Legion of Boom or the Wobblies in Washington, Chief Seattle or Ken Griffey Junior, Patty Murray or Kurt Cobain, Hope Solo or Sherman Alexie, Bing Crosby or Cathy McMorris Rodgers—to name only a few). Using a controlled range of diction and some parameters regarding line and sound texture, we will work from freewriting to drafting a poem that might reveal something about where we are and where we’ve been, and perhaps such knowledge will tell us a little bit about who we are, were, and might be. Creativity: Where Does Inspiration Begin? In this informal chat on creativity, our WA state poet laureate will offer some insight into his beginnings as an artist, and, perhaps unexpectedly, he’ll talk as much about Geddy Lee, Van Halen, and Led Zeppelin, as he will about Emily Dickinson, Postmodernism, and The Beat Generation. The talk will include live guitar solos and a sense of both the incredible seriousness of creativity (it can save a life) and a willingness to admit that the imagination can thrive in the most unexpected of places. Please wear a rock concert t-shirt if you have one! About Marshall Tod Marshall was born in Buffalo, New York and raised in Wichita, Kansas. He studied English and philosophy at Siena Heights University, earned an MFA from Eastern Washington University, and graduated with his PhD from The University of Kansas. He directs the writing concentration and coordinates the visiting writers series at Gonzaga University where he is the Robert K. and Ann J. Powers Endowed Professor in the Humanities. He enjoys backpacking and fishing and spends about a month of every year in a tent. From 2016-2018, he will serve as the Washington State Poet Laureate. His work has been published in many journals, including Narrative, The Southern Review, The American Poetry Review, The Iowa Review, Shenandoah, Boulevard, The Colorado Review, The Denver Quarterly, The Columbia Poetry Review, Poetry East, Poetry Northwest, Volt, Interim, The Canary, Willow Springs, Cutbank, The Georgia Review, The Kenyon Review, and elsewhere. Visit Tod Marshall’s website here. DATES: WORKSHOP- Wed, Sept 14, 5:30-7pm, by donation. Students free. READING – Fri, Sept 16, 6:30pm, suggested donation $10-$20. Both at the Merc Playhouse, Twisp, WA. CONTACT: Methow Arts, info@methowartsalliance.org to register or call 509.997.4004. Tod Marshall’s visit is made possible by Humanities Washington and ArtsWA.